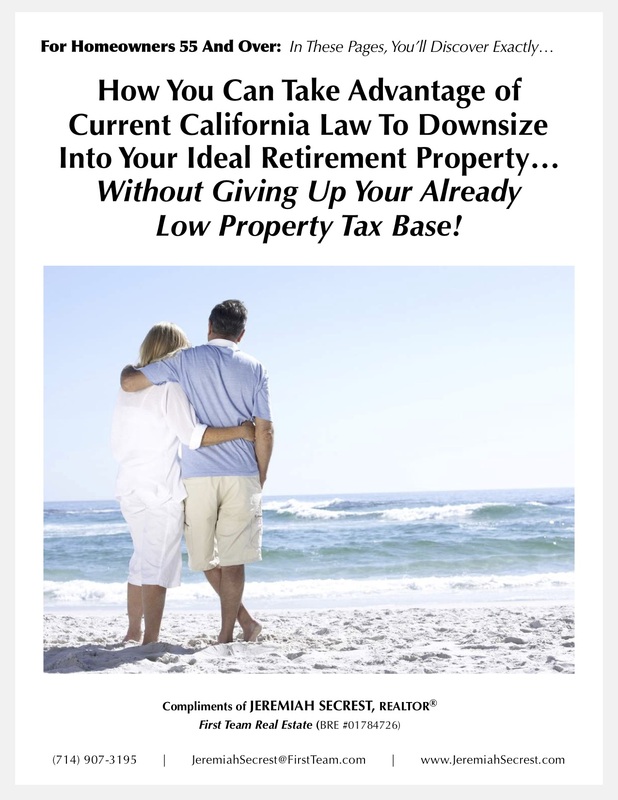 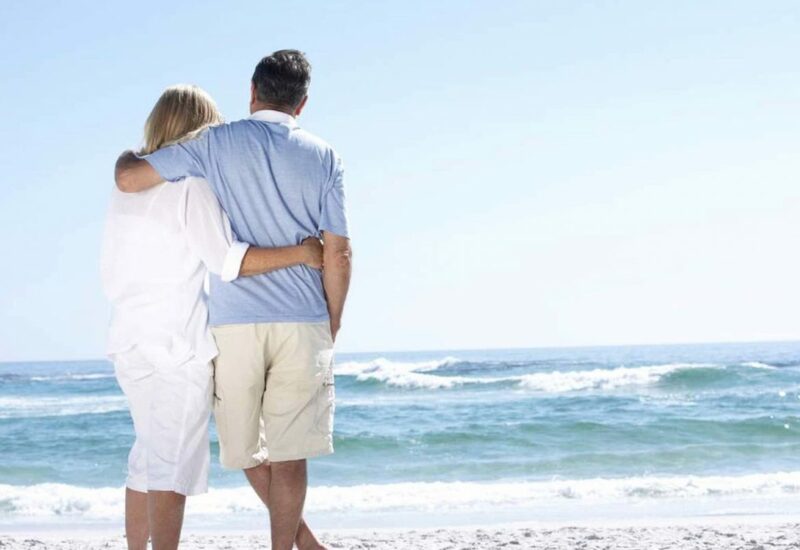 This article details how you can take advantage of current California Prop 60 / 90 to downsize into your ideal retirement property without giving up your low property tax base. 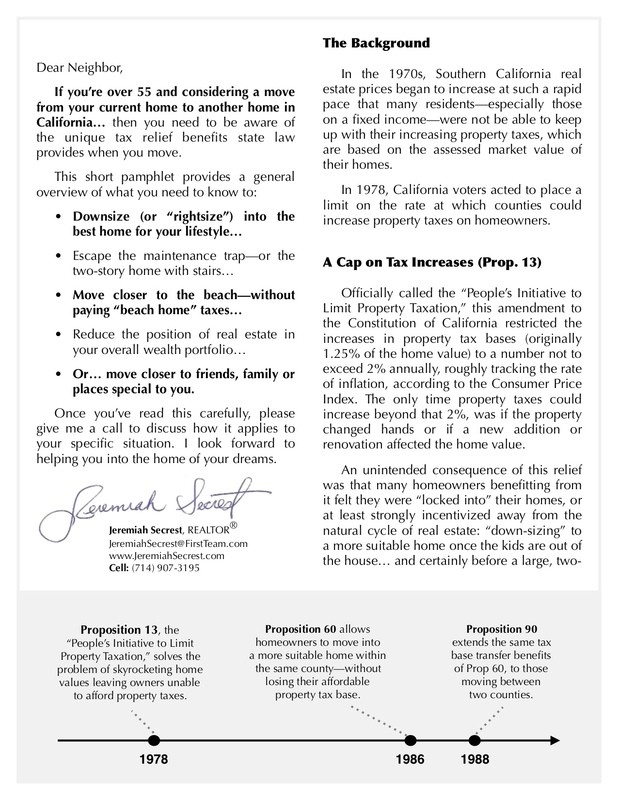 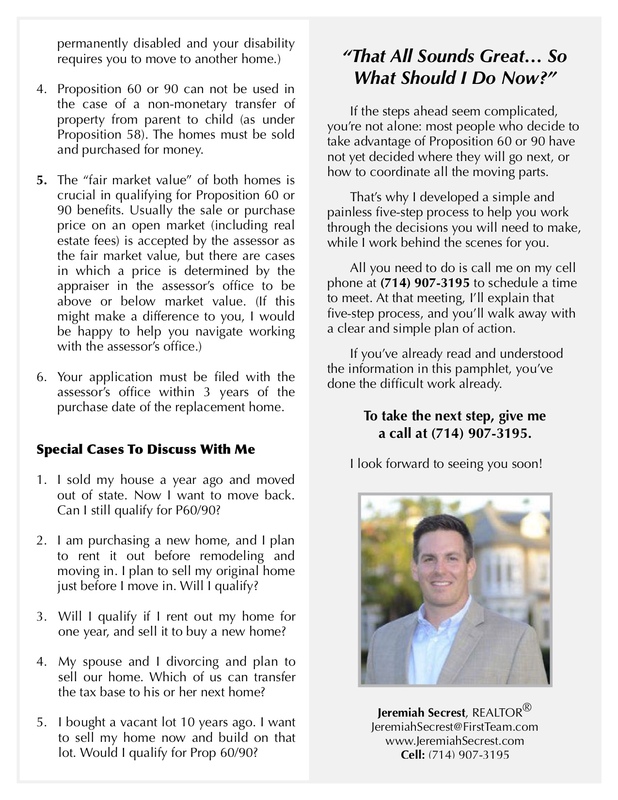 Jeremiah Secrest is your Proposition 60 or 90 expert and can help you navigate this process and take advantage of this terrific program. 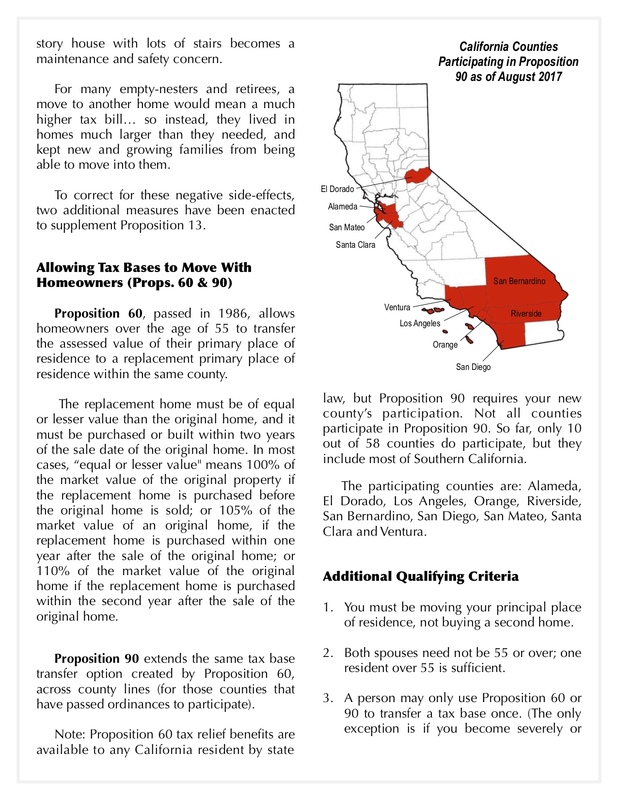 If you are interested in learning more about Prop 60 / 90 and related programs and how you can can benefit from them, call us at (714) 907-3195 or click the link below to request additional information.